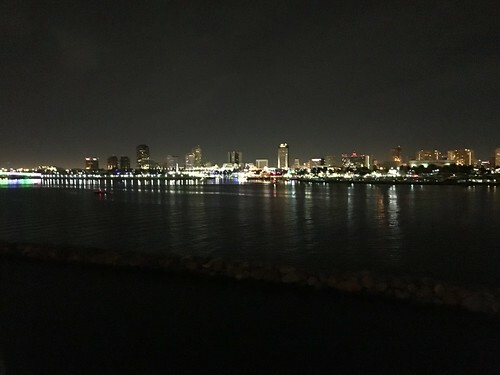 Remember that time I spent a few days on a supposedly haunted boat in Long Beach, California? Of course you don’t because I never told you about it! It’s -11Â° in the Twin Cities today (-30Â° with the wind chill), so it seems like a good day to remember a warmer occasion. 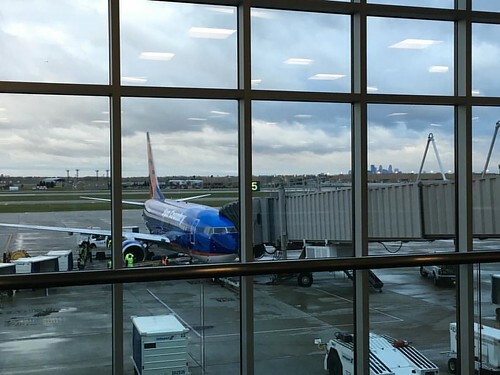 It was the first solo air travel trip that I’d made in a long time! 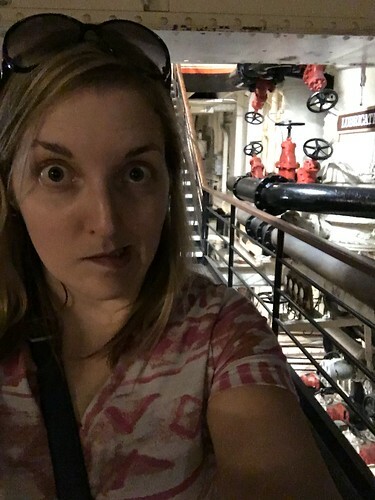 I was heading out to volunteer at CSSDevConf but gave myself a little extra time for exploring. 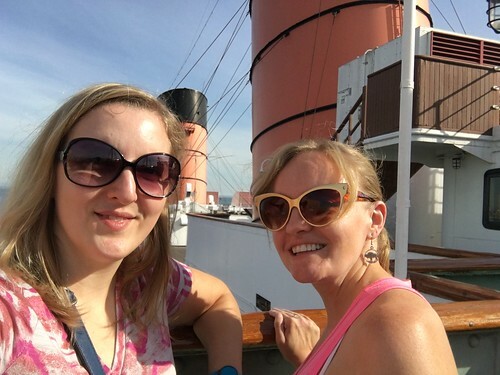 My hometown friend and now-Californian, Kirsten, generously picked me up the airport and decided to come along to explore my lodgings for the next few days: the Queen Mary. 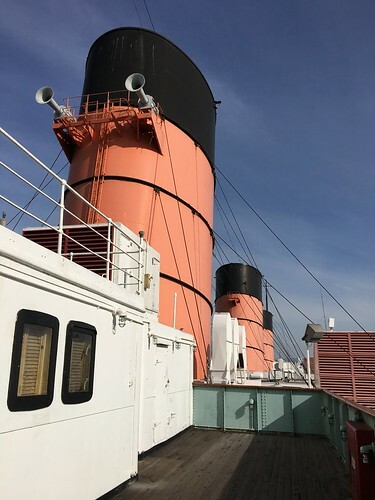 The Queen Mary is an art deco-era ship that’s now permanently moored in the bay at Long Beach. And she’s massive. 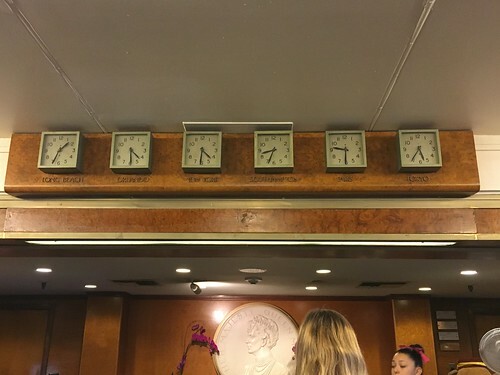 Though I’ve seen a few in various ports, I’ve never actually been on a cruise ship before. 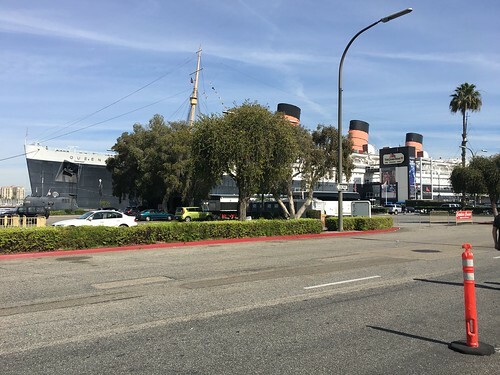 I imagine the Queen is smaller than modern cruise ships, but since boarding her is more like taking a jump back in time, it’s interesting to know that she’s almost twice the size of the Titanic. After I got checked into my room, we immediately started exploring. 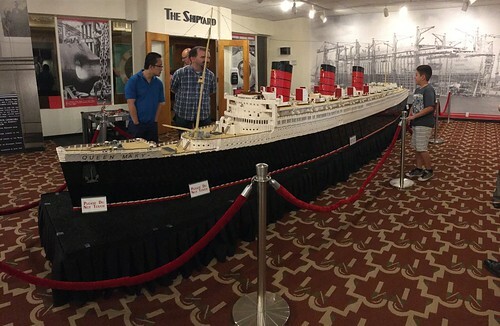 This LEGO replica of the ship was one of the first stops we made and it’s one of the largest ship replicas made of LEGO bricks. It’s really intricate and was fun to look at — especially because, just for fun, there is a LEGO cat that the room security guards like to move around. It was a good game of hide-and-seek! Once you find the cat, you’re just supposed to smile and let the other seekers continue to look. 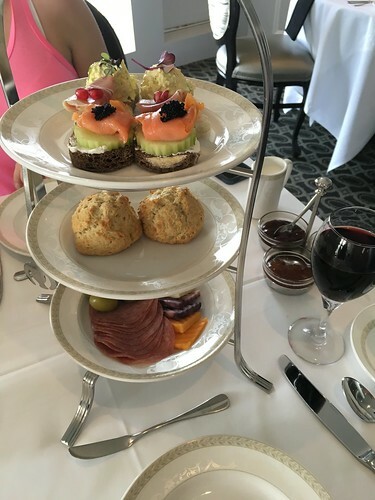 Since it was early afternoon and I hadn’t eaten a proper lunch, we decided to settle into the tea room. There was a group of ladies there that had the big hats and fancy dresses, so we felt somewhat schlubby. Ah, well — those biscuits with jam and clotted cream were really delicious. I wanted more. 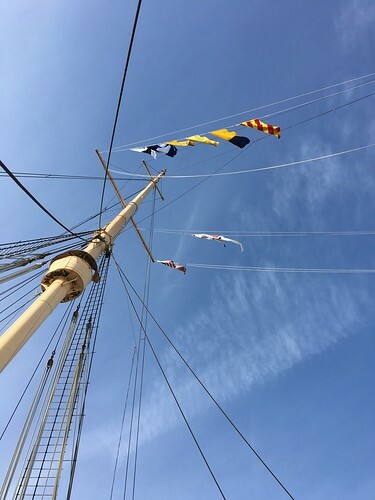 Proof for the fine folks of Facebook: we’re on a boat! 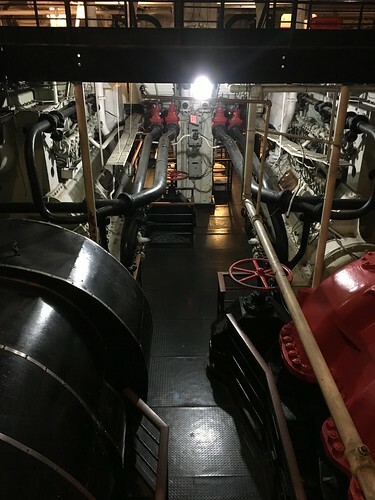 After exploring around the top of the ship, we decided to go check out the engine room before it closed up for the evening. Siberia! 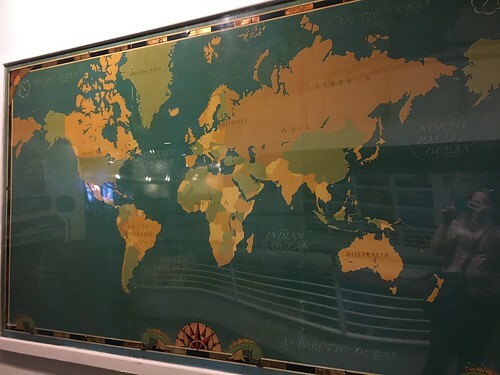 This map was at the top of the stairs before descending into the depths of the ship, where it’s really easy to get creeped out. I was taking a lot of photos in the hopes of catching an orb or a ghost. As you do. 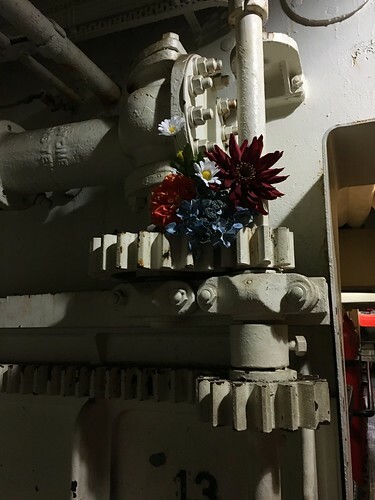 I don’t know what the story is with these flowers, but they were at just about the furthest point from the entrance to the engine room. We were totally spooked by this point, of course. There was no one else around and we were alone with our worries about hauntings. Things might’ve felt just a touch more scary since it was right before Halloween, too. 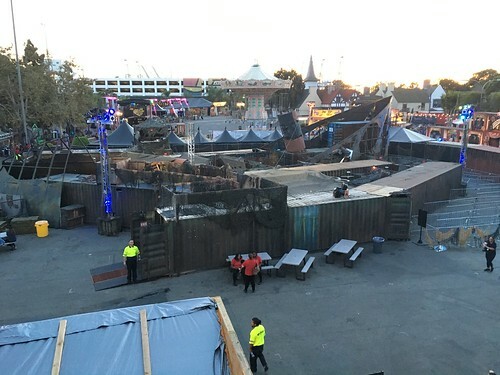 Outside there was an amusement park set up: multiple mazes and a special haunted house through more of the ship’s engine room, too. We watched a little bit of the staff getting their make-up and costumes on from above. We also watched the queue fill up; attendees arrived hours before opening and tickets to get in were somewhere around $100, I think. 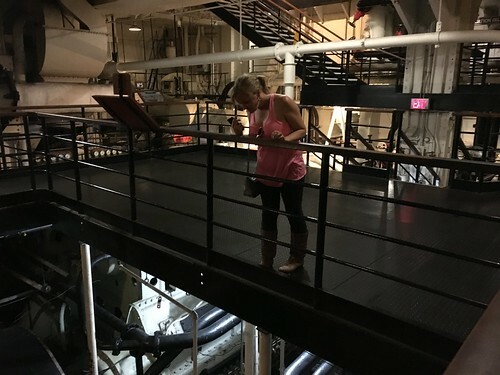 Totally nuts, but apparently it’s really awesome for the thrill of being scared. It’s an annual thing. 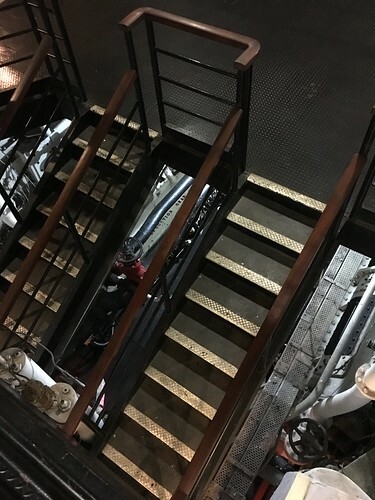 Dark Harbor: thankfully happening on the other side of the boat from my room. Of course I went back to watch later, after it got dark. It was entertaining to listen to all of the screams and watch from above. I also learned that the swing ride in the middle came from Neverland Ranch. 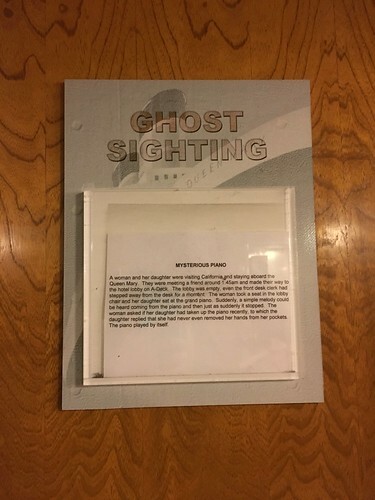 There are also Ghost Sighting signs in various places all over the ship — I was really excited about sleeping alone on this boat for four nights (not). 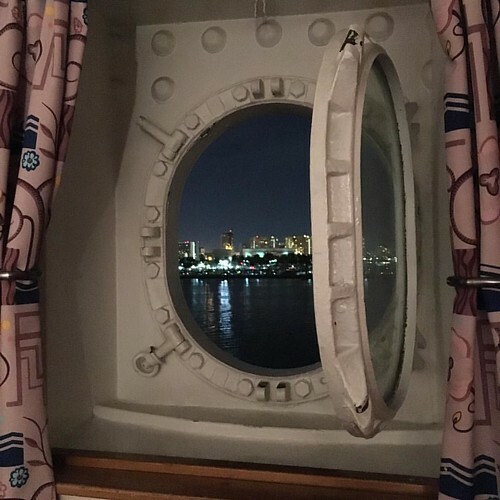 At least the pleasant view from my porthole made up for some of my nerves.